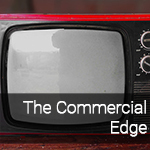 All the tunes from Commercial Edge 1.0 plus dozens of new tracks from various genres. Ideal for finding that perfect music to accompany any project. Genres range from ambient and dramatic to wholesome and casual. One library to complete every type of commercial production. Buy all 24 collections in this library for: $1299.95. Individual collection prices are listed below. Energy-packed, intense tunes to move along any car chase. Mesmerizing, groovy tunes perfect for today's commercials. Smooth blues to give any commercial a sophisticated, mellow edge. Grand, majestic pieces for that BIG feeling. Positive, catchy music with a wholesome feeling-like a musical apple pie. Funky tunes with a hip beat and groovy lines. Rippin' guitar and heavy drums give these tunes an aggressive edge. Hip Hop tunes with smooth tempos and confident beats.